Water is a precious commodity which is essential for life. 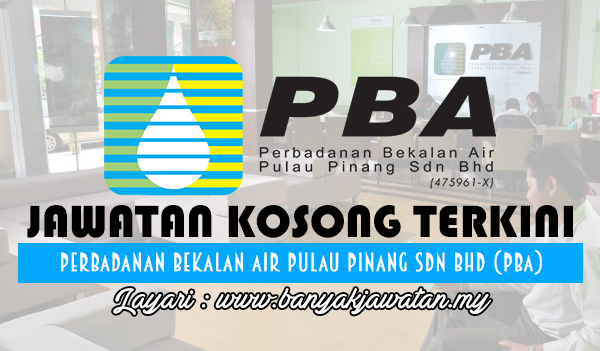 At Perbadanan Bekalan Air Pulau Pinang Sdn Bhd (PBAPP), we consider continuous good water supply to be our key corporate social responsibility. We are committed to continuous improvement in support of sustainable development and a green environment. Our mission is to serve as a leading organisation in water supply. Join us for a rewarding career and take on challenges in the water supply industry positively, proactively and productively. 0 Response to "Jawatan Kosong di Perbadanan Bekalan Air Pulau Pinang Sdn Bhd - 9 Jun 2018"